This musician will put a smile on your face! – Cool San Diego Sights! This musician will put a smile on your face! 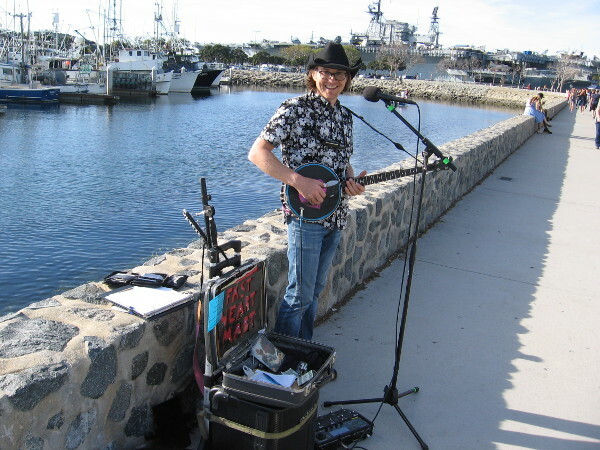 Fast Heart Mart sings smart, memorable music on San Diego’s Embarcadero. For a few minutes this afternoon, during my walk along the Embarcadero, I relaxed on a bench with a smile on my face. I was tapping my toes listening to some really smart, folksy, bluesy, heartfelt singing accompanied by banjo and harmonica. I was enjoying a performance by Fast Heart Mart! Please check out Martin’s website. 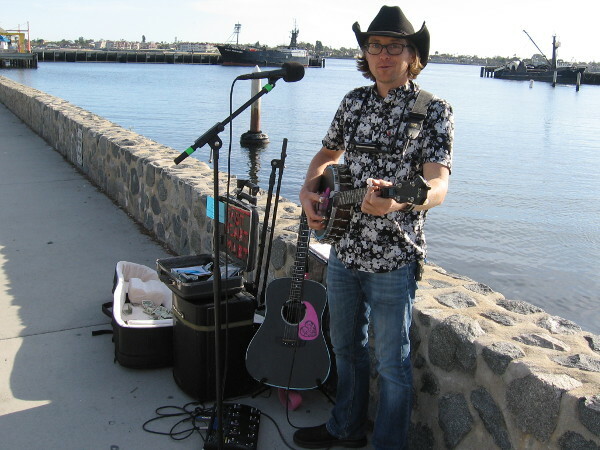 He’s toured all over the world and has opened concerts for a wide variety of musical acts. He has ten albums! I listened to his original composition titled “Good Lordy, I’m Forty” and laughed out loud. The lyrics are intelligent, humorous and strike a chord! And his voice has a distinctive, edgy but pleasingly authentic sound that I could listen to all day. You can find many samples of his music on his website. I urge you to pay a visit! Fast Heart Mart strikes a chord and produces smiles! I guess my song would be “Holy Shi##y, I’m sixty!”. Previous Previous post: San Diego Air and Space Museum’s PT-22 hits the road! Next Next post: A sudden discovery of beautiful art!